The success of satellite navigation in the mass consumer market will depend greatly on the service availability in urban canyons and moderate indoor environments. In order to meet these requirements the reception sensitivity of GPS and Galileo receivers will have to be substantially enhanced. 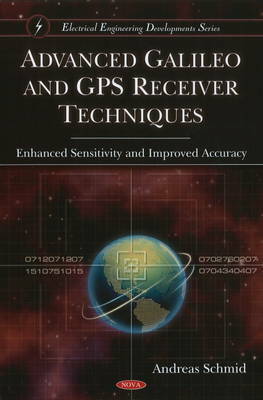 This book introduces new ranging techniques that have been shown to improve the reception sensitivity and positioning accuracy of GPS and Galileo receivers. These can be implemented with low complexity and in addition to existing methods. The sensitivity enhancements are based on differential correlation techniques that utilise the statistical properties of Galileo/GPS signals and also permit the estimation of important signal parameters with low complexity. The probability density functions of the signals are algebraically derived at each processing step. Extensive simulations are provided to analyse the performance of the algorithms and architectures developed for this book.